Some things are better left alone. Like milk. What the hell has happened to our society? It’s a real receipt. Just thought it was funny. Pingback: Oapboap.org » Pictures last longer. 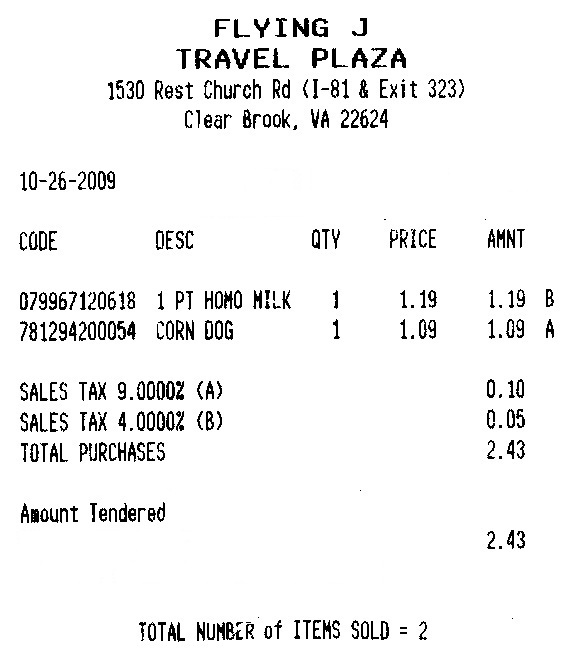 Homo Milk and a corn dog? I don’t wanna know dude.